The lighting of a party, wedding ceremony or a reception add on to the beauty and ambiance of the venue and will go a long way in enhancing the memories of the day. 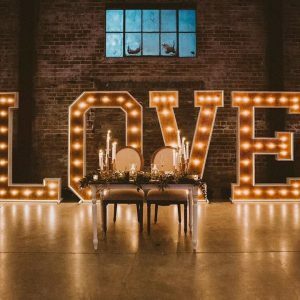 Whether its dim or twinkly lights, classy or funky, bold or subtle, event lighting can make a big statement, add a wow factor, and transform the mood of the entire event. Choosing the correct lighting is essential to the success of your event. But there are lots of considerations you need to have in mind, from the stage lighting to general lighting, table lighting to string lighting, and how you can set up the lights for your desired mood or create a certain level of drama. To make the right choice, you need to consider your lighting needs, and then know your options. There are quite a number of options to think about, including the party & wedding lighting rentals available to you. This is especially true if there are some specific designs or effects that you want to achieve; perhaps a specific color, lighting option, or effect, such as lighting projection, festoons, etc. In this post, we’ll share a few initial thinking pointers that will let you and your planners make better choices. The first thing you want to do is decide where you need lighting, and then create a checklist. 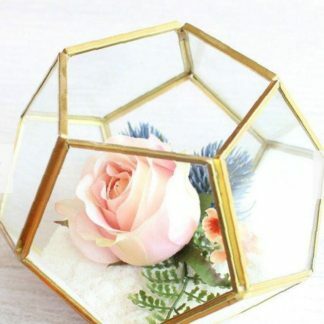 Do you want to light up the entire event area or certain areas only? This decision will be completely up to you, and will depend on the kind of event you’re hosting. With where you want to put the lighting in mind, it’ll be much easier to calculate the amount of lighting you need. 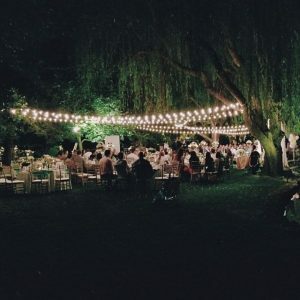 A good party & wedding lighting rentals company can help you assess the area and make this decision better. What Kind of Mood Are You Shooting for? The kind of lighting you go for will create a certain mood and ambiance for the event. Do you want it to be romantic, contemporary, or classic? Should the lighting be bold and modern or soft and sweet? Whatever you choose, make sure that it matches the theme of the event. What’s the Significance of the Venue? 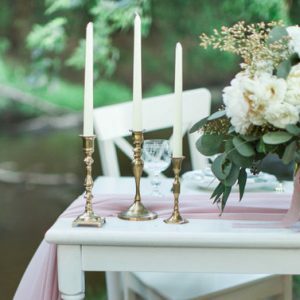 While an event like a wedding is all about the bride and groom, the venue has most likely been selected carefully, and it will be special to the couple in a unique way. The design, architecture, location, and other unique features can be enhanced with careful accent lighting. 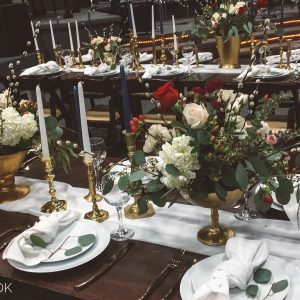 The lighting can also complement other specific features of the even, such as the wedding cake, the floral arrangement, the guest tables, or the gift table. Localized accent lighting can also be used to accentuate specific features of the venue such as alcoves, columns, a ceiling, or the walls. 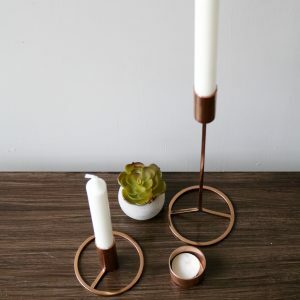 These can be made to coordinate with your wider color theme. 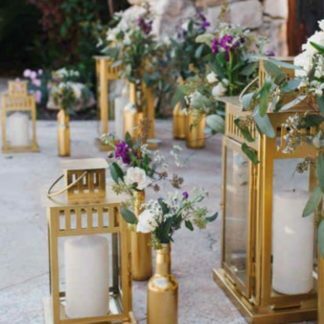 For an initial reception or ceremony, static lighting is the way to go, so that it only enhances the important moments and not detract from them. Moving lights are more recommended for the post-reception dance, though all this is entirely your choice. Some of the subtler moving light effects include the oil and water projector, which can be a great addition with their gently moving “wave” color wash effect over a wide area. The lighting units ideally offer a gentle yet non-distracting movement. For the more dynamic effects, such as moving scanners or heads, tend to do best during a band or a DJ performance. 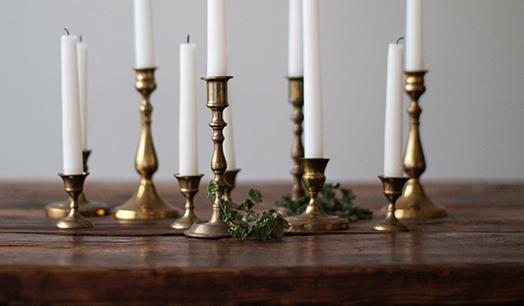 Consider the following lighting types to achieve your desired look and ambience. Keep in mind that different party & wedding lighting rentals will have different options, though the ones listed below are common. 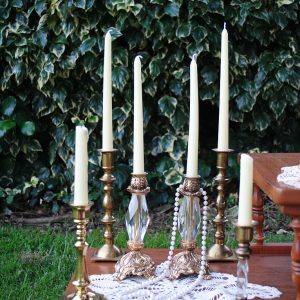 These are ideal for decorating weddings, parties, and tent events. Globe bulbs come in a unique shape, which almost look like a perfect globe, unlike the traditional pear shape. The lights offer a wonderful ambiance lighting. You can use them both outdoors and indoors, with no assembly required. In most cases, they come already screwed into a light strand, and all you have to do is hang them up. 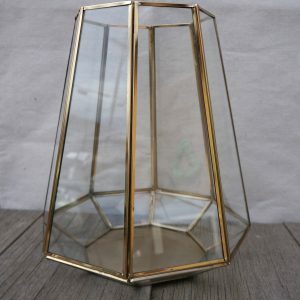 These are a great addition to any outdoor event lighting scheme. Considering that they offer high lighting for pathways and offer a number of different kinds of ambiance, using these lights effectively can be both dramatic and functional. Spotlights ideally narrow down the focus of illumination and usually target a small area. For this reason, you should go for spotlight rentals that serve the purpose you want to serve. 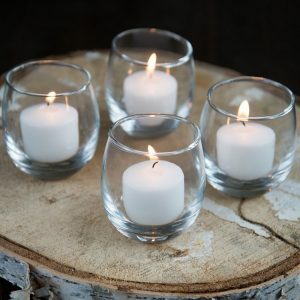 They are ideal for outdoor events held at night. These are often used owing to their efficacy and versatility. Since they are brighter and hotter compared to ordinary light bulbs, they are an excellent addition to winter events. Along with providing bright illumination, their design can be dramatically modern, making them a great option if you intend to achieve a contemporary look. Nothing else can create the kind of atmosphere that twinkle lights can. They are a great addition to any event space. If you intend to hold a party in your home garden, twinkle lights can make your garden look stunning. 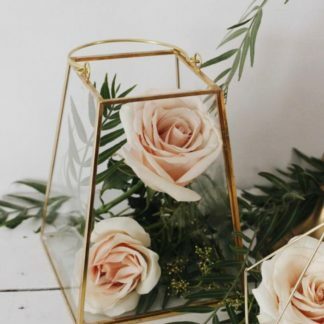 You can place them along a stone pathway, adorning fences, benches, decks, or gazebos, and even have them pooled at the base of a large container filled with fragrant flowers. These are ideal for both indoor and outdoor use because they are versatile, and quite capable of producing a wide range of effects. They also have a special capacity of accentuating the important features within your wedding reception, party, or corporate events. This is a disc template on which light shines through to project an image onto a surface, say a wall. You can display a custom monogram with your names, wedding dates, and other designs onto surfaces such as the main wall, dance floor, entrance, etc. for a special effect. These elegant lights can be displayed in a horizontal or vertical position depending on your desired effect. These lights can be a great addition to your design, and they will certainly give the night on your special day a magical atmosphere. Using twinkle lights here will add a romantic touch. The brightness of chandelier lights is enough to lighten up an entire area, and can highlight the real beauty in the in your event’s décor. The style and design of the chandelier lights is perfect for those looking to add extraordinary beauty and class to their party.